No, I never knew that such a condition existed, though it kinda makes sense if you happen to be involved in the fire fighting business. But fire engine envy is one of many factors that’s assisted Lower Hutt’s Fraser Engineering into a pre-eminent position as an Australasian manufacturer of such tenders. Speaking at a recent gathering of Technology Valley participants (and totally coincidentally, held at Petone’s Fireman’s Arms pub), Fraser’s general manager Martin Simpson told of how firemen looking enviously at the units put together by his own company, make comments that gradually and ever so slowly filter up to positively influence decisions made by a purchasing officer. Fraser’s manufacture virtually everything in a fire engine tender beyond an imported truck chassis and cab (though they’re thinking about building this as well). It starts with feedback and input from real firemen. Hosereels, pumps, valves, nozzles, cabinents and the whole kit and caboddle are designed from scratch, from single components up, on a SolidWorks 3D CAD software platform. Most of them are then created through the use of more than $20 million of manufacturing equipment, including an increasing amount of 3D (additive) metal and other products printing. The demands of fire fighters are an important element in designing extremely robust equipment. “A fireman’s pumped with adrenalin when they’re in action,” says Martin. 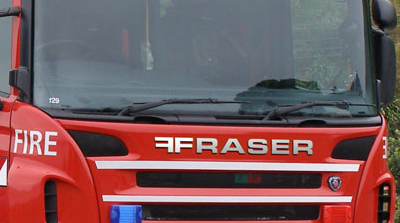 Martin says that unlike some of their competitors’ fire engines, all Frasers’ vehicles are immediately able to go into service (commissioning is relatively easy). The company also concentrates on the “whole of life cost” of the tenders, noting that Fraser’s has virtually zero warranty issues. In other words, the fire engines work first time, for a long time. It is information and feedback such as this that slowly filters through the fire services of different states and countries – helping to build Fraser’s reputation. Martin says Fraser’s is helping to organise a major fire fighting conference to take place in Wellington in September 2014, which may be attended by up to 2000 people. “If there’s any other fire fighting related companies who would like to attend this event that will have every purchasing officer from Australia and New Zealand there, as well as a swag from other countries, we’ve love to hear from them,” he says. Original generation time 1.5371 seconds. Cache Loaded in: 0.0500 seconds.